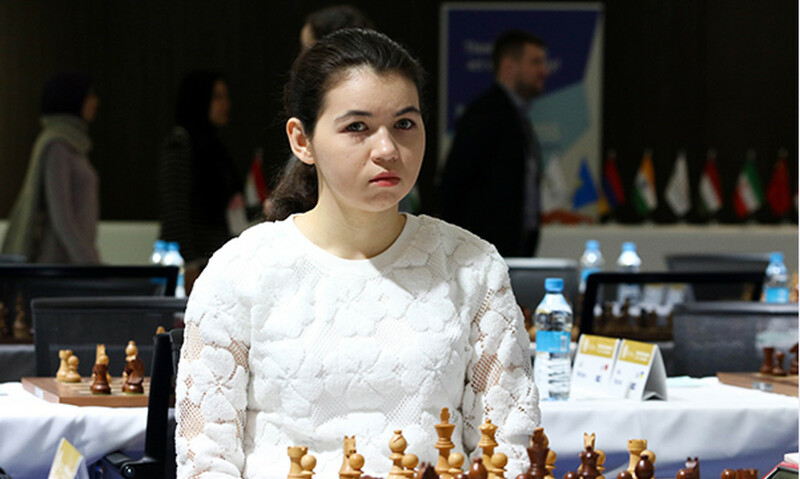 A sportswoman from Yamal Alexandra Goryachkina within the women’s national team of Russia in chess took the second place at the world team championship, which took place in Astana. Together with Alexandra the following chess players defended the honor of Russia – Ekaterina Lagno, Alexandra Kostenyuk, Valentina Gunina and Olga Girya. In the final round the team played a draw (2:2) with opponents from Georgia. In all the games there was the draw. At the end of the tournament the Russian sportswomen scored 14 points, losing the first place to the Chinese team that scored 18 points. The Georgian sportswomen scored 12 points and took the third place. It should be noted that the Russian men’s chess team won the world team championship ahead of the schedule. Aleksandra Goryachkina is a student of the Polar chess school of Anatoly Karpov. She is the repeated champion of the world, Europe and Russia among girls and boys. At thirteen years old she became the youngest grandmaster among women in the world. In 2014 the chess player won the title of the world champion among juniors up to 20 years old. In 2015 she won the Cup of Russia among women. In 2017 Alexandra Goryachkina within the national team of Russia won the golden award on the world championship and took the second place on the championship of Europe in chess in Riga.